Want to monitor new hire progress? Here's how. 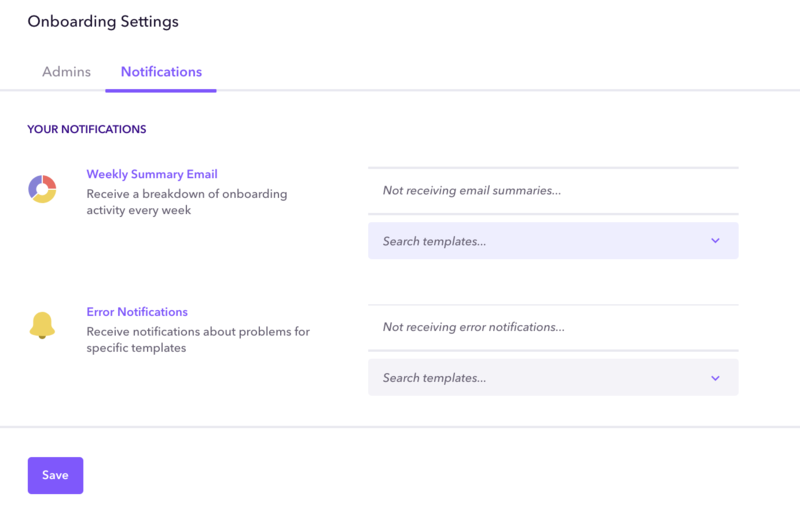 Donut collects information from new hires, buddies, and managers depending on what content you've decided to include in your onboarding process. 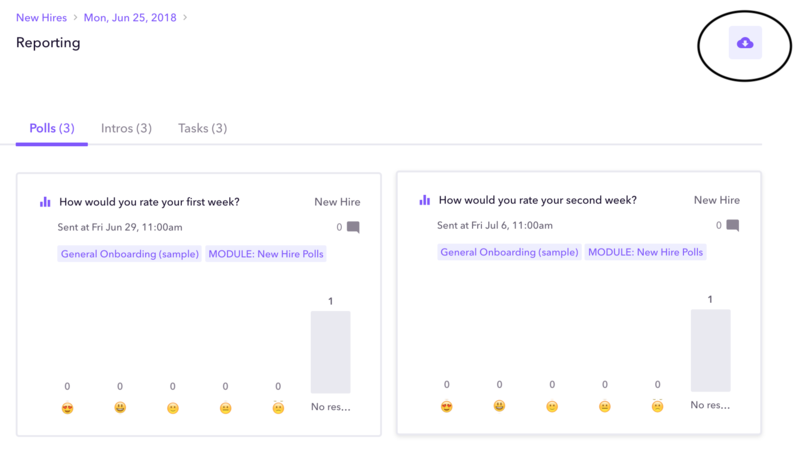 These data points are separated into three categories: polls (feedback from new hires on how they're doing), intros (introductions to buddies), and tasks (reminders to managers about 30/60/90-day check-ins). To access data on a new hire class, find the class you'd like to review on the "New Hires" page, and click the bar graph. You'll be able to view aggregate responses for the entire class across three tabs. 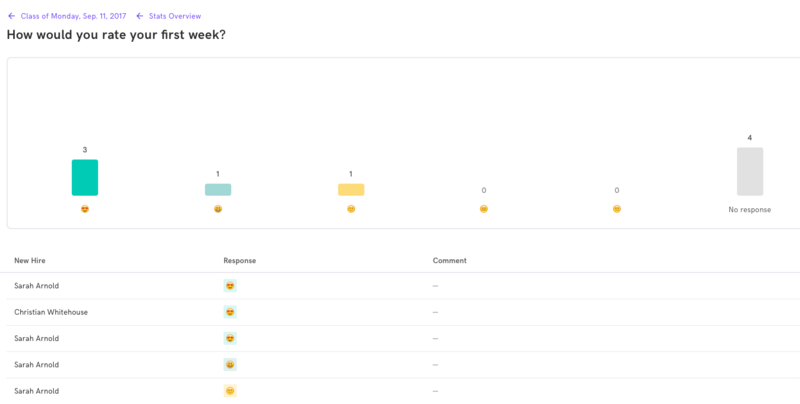 Hover over a bar graph to see who gave what response. Select the bar graph for a more detailed view of who responded and what they said. You can also export data on a new hire class as a CSV file. Find the class you'd like to export data for on the "New Hires" page and click the bar graph. Click the download icon at the top of the page to begin a CSV export of all data for this new hire class. Additionally, you can export a CSV report that will display aggregate data on all new hire classes and employee interactions. To access this aggregate data, go to your "Reporting" page. Click the download icon to begin a CSV export of all your Donut reports. We can also send you a weekly summary via email. If you'd like to receive these reports, click on "Settings" under "Onboarding" in the left nav just below Templates. Hit the Notifications tab, and select which templates you'd like to receive email summaries about next to "Weekly Summary Email". The templates will autofill as you search for the name of one. Click save to remember these settings.